When I have enough buildings to begin putting my Lego city together, I’ll need to add in lots of details, like trees, planters, mailboxes, mini-figures, and of course, street lights! I played around with a bunch of different designs, and came up with a few good ones that I really like. I haven’t yet decided which ones I’ll use in the city, or if I’ll use a combination of them for different parts of the city. Either way, I have some good designs to use for my city, and now you do too! Pick your favorite design, and make a bunch to place around your own Lego city! There are plenty of designs for any style of city, and the color can be changed to a couple different colors. 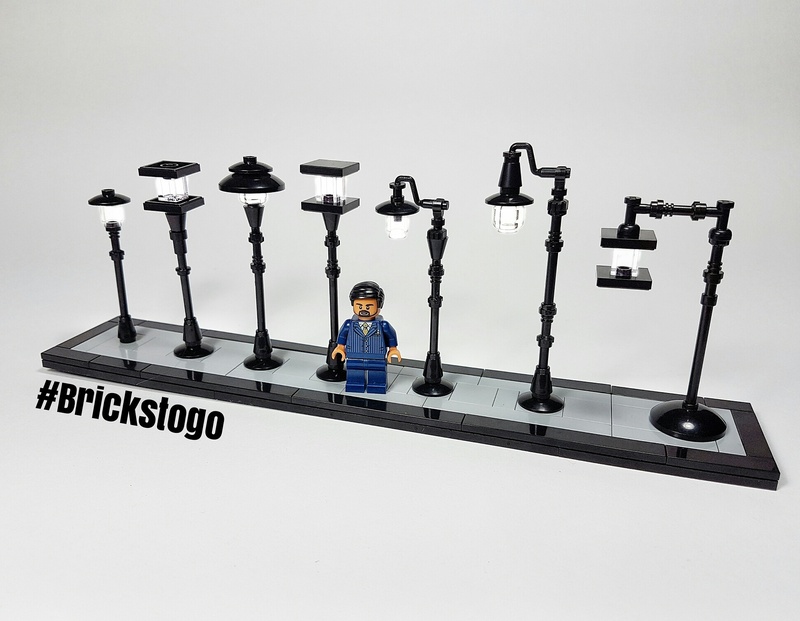 I’d also really like to wire them with Brickstuff’s Lego lights, but that will have to come later on once I have the first street or so setup. If you have a favorite design, or need help building any of them, please leave a comment and let me know! I’d love to hear from you!